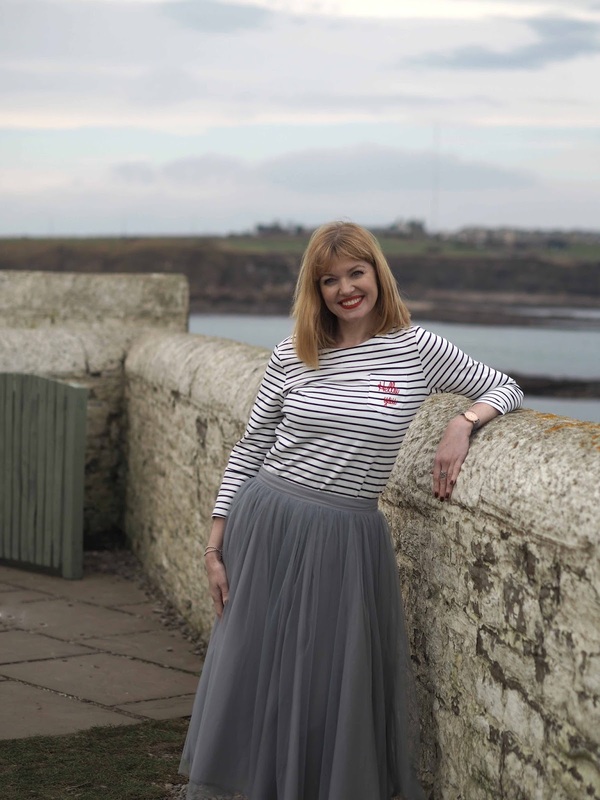 Stripes have always been a great favourite of mine and I have an abundance of them in my wardrobe including tops, dresses, swimwear and a striped trench coat. 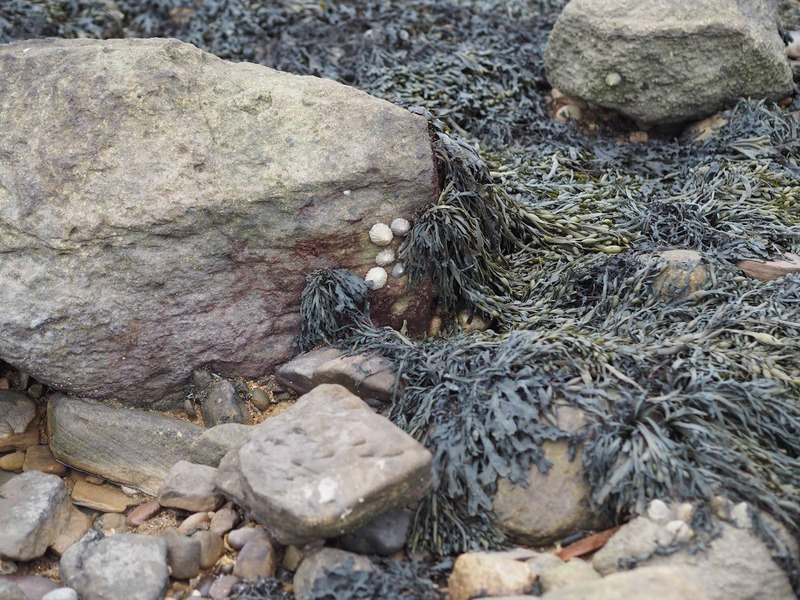 They come into their own in spring and summer, when year upon year, nautical inspired fashion, a perennial style favourite, abounds. 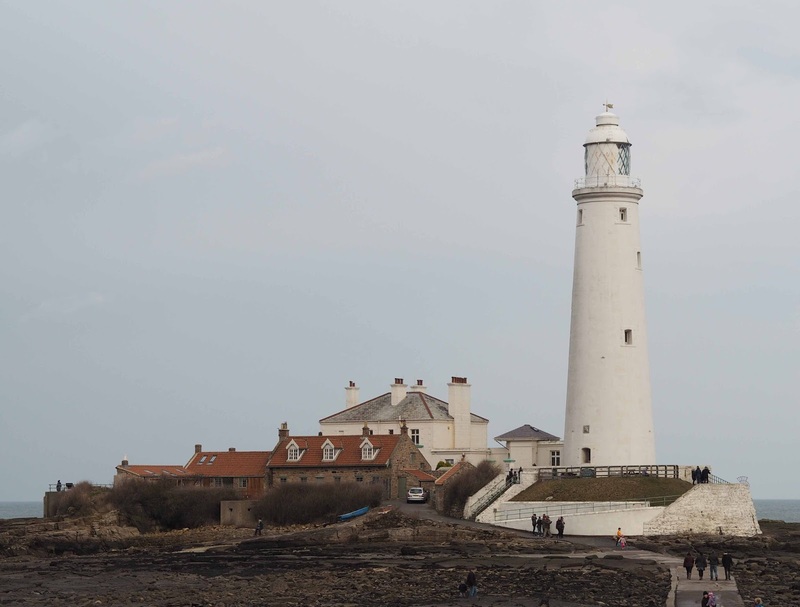 When visiting Whitley Bay and its stunning St Mary’s lighthouse on the North East coast recently, a nod to the nautical seemed the obvious choice. 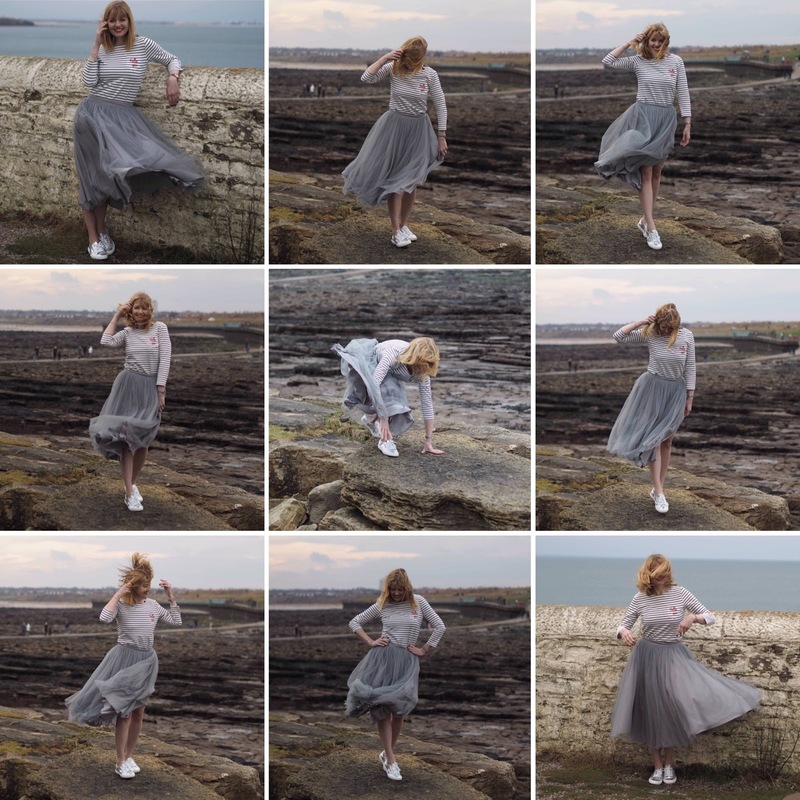 My whole outfit is from one of my favourite places, Aspire Style, and along with other members of The Over 40 Collective, I’m showcasing some of the new spring pieces. 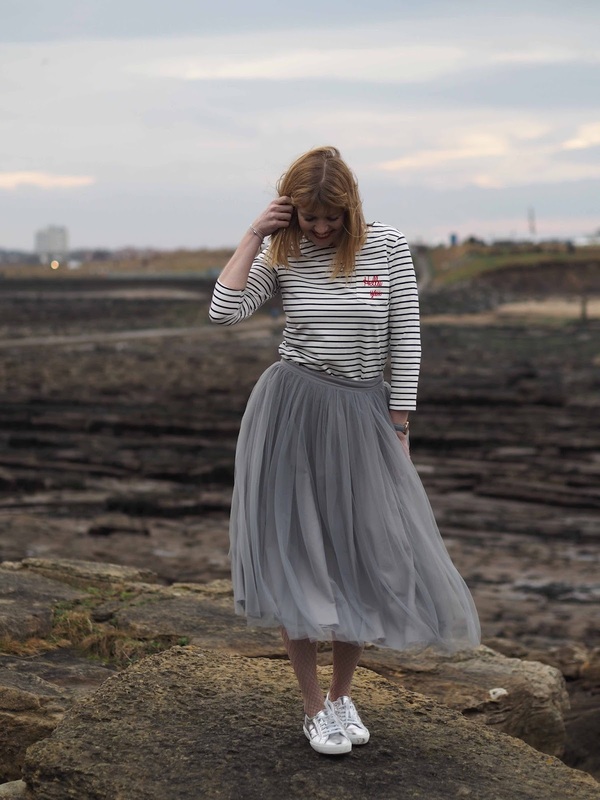 I chose an embroidered striped top and silver Superga pumps which I teamed with with last season’s fabulously frivolous and frothy tulle skirt. 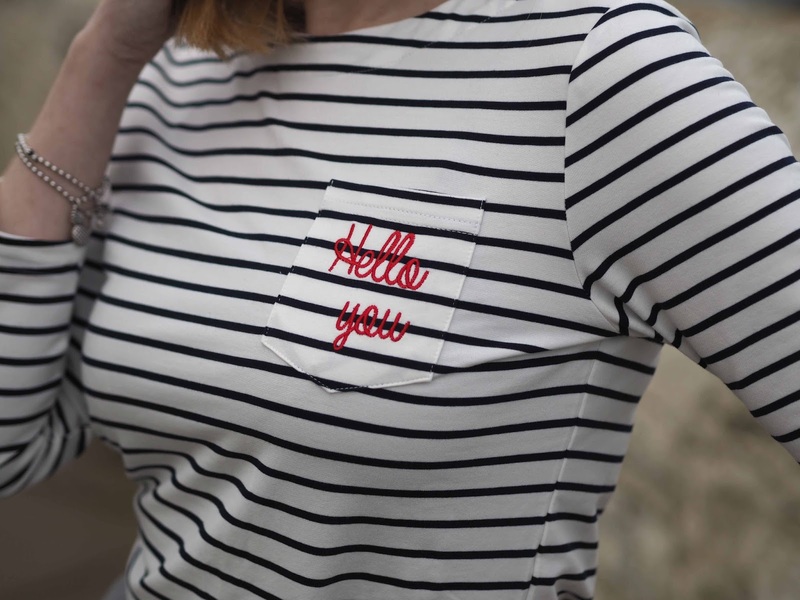 The red “Hello You” embroidered detail on the pocket adds interest, a touch of quirkiness and matches my lipstick rather well. 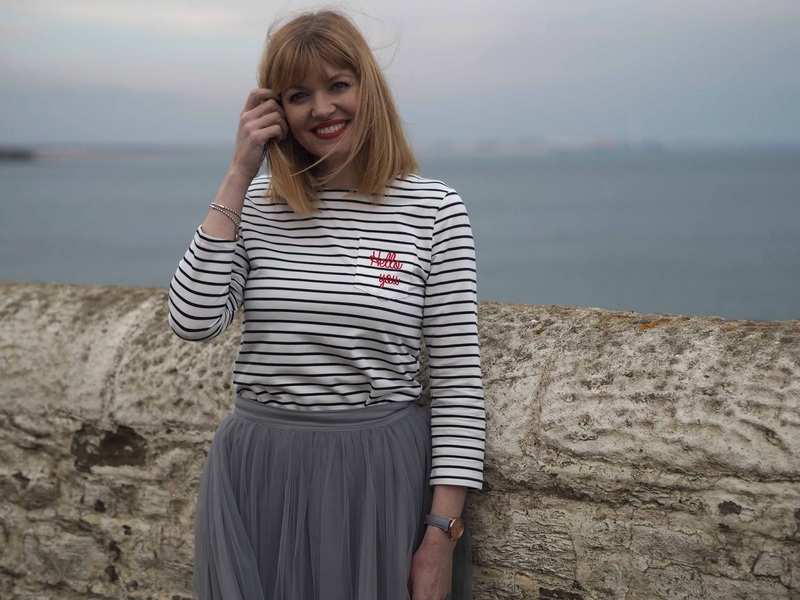 I think a navy and white striped top is one of the most versatile pieces one can own. 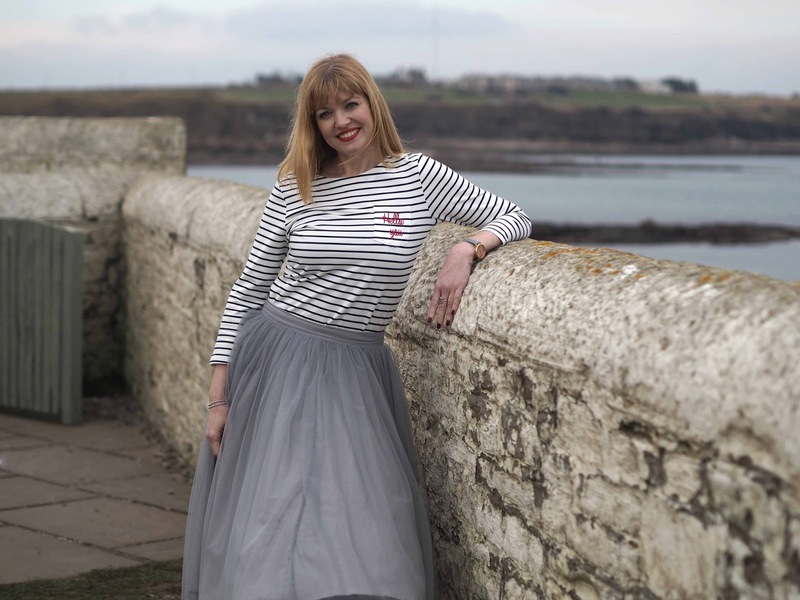 It works beautifully with jeans of any style or colour, wide-legged (sailor) trousers, shorts, pencil skirts, mini skirts, midi skirts- the options are numerous. 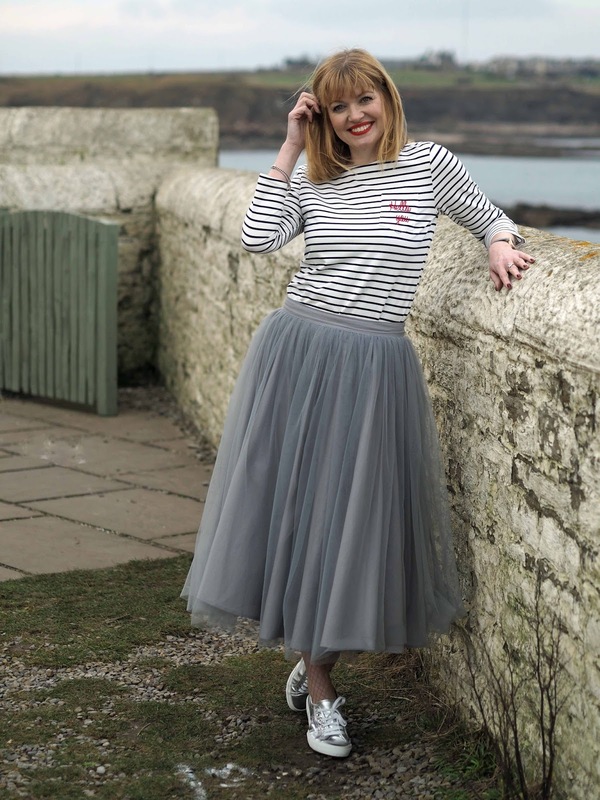 I previously styled this tulle skirt with a sequinned top and glittery metallic Jimmy Choos– a more formal ensemble. I hope this demonstrates that even a statement piece such as this skirt can be worn in more than one way. 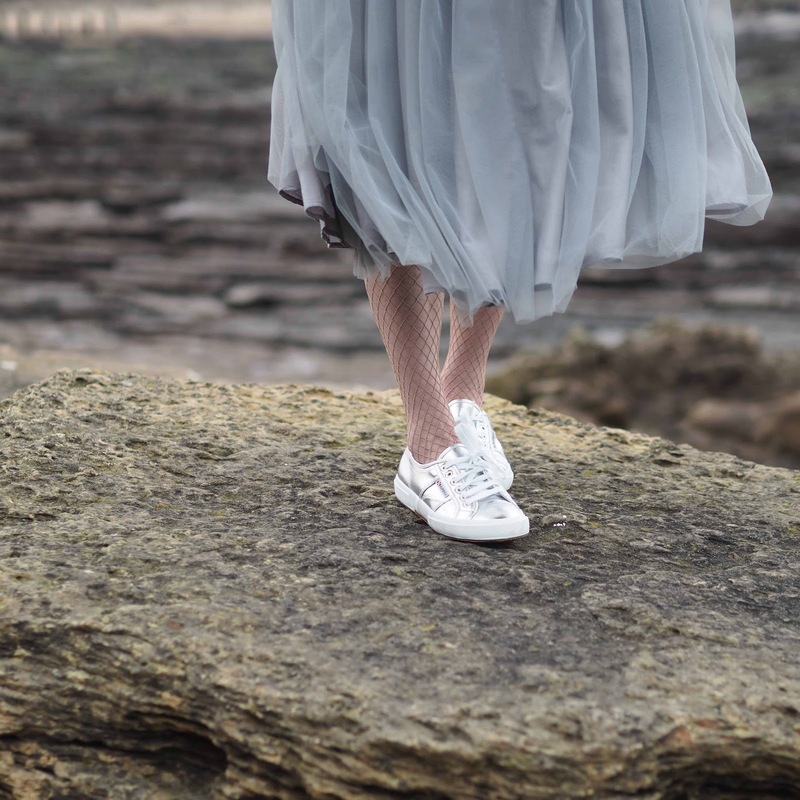 Keeping with metallic footwear though, the Supergas are super comfortable, very practical and facilitated my clambering on the rocks. I added a pair of blush fishnet tights and although they really didn’t afford much warmth, they did at least mean I didn’t have bare legs. 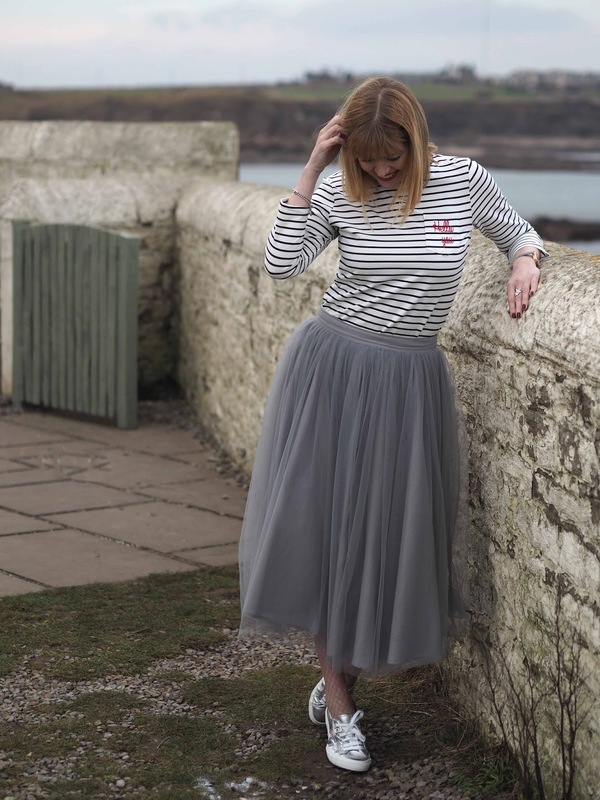 A tulle skirt however isn’t quite as practical and, as these outtakes will attest, is hard to control on a blustery day. Here are Michelle, Michelle and Lisa’s choices from the Aspire Style Spring Collection. 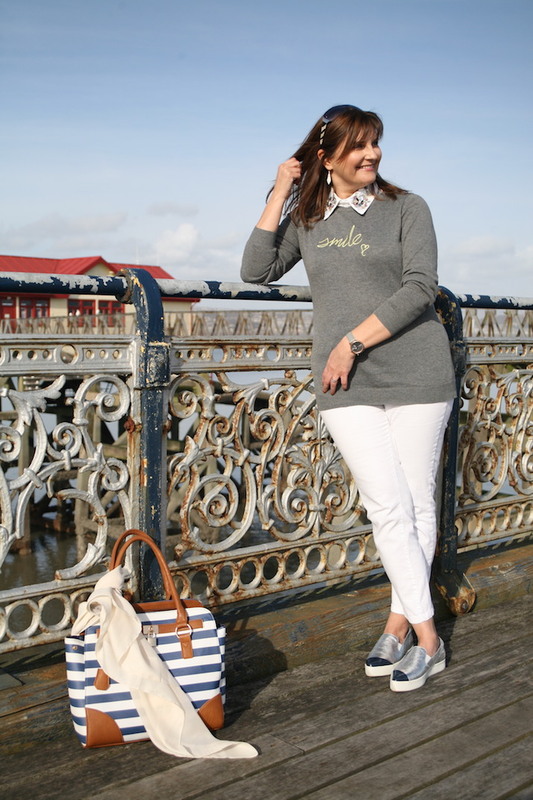 Throughout March, our readers will get a 10% discount with the code OVER40, so do take a look on the Aspire style website if you love these outfits as much as we do. Photographs: My lovely and very patient boyfriend. Previous Post Breaking the Taboo: Can You Be A Feminist And Love Fillers? 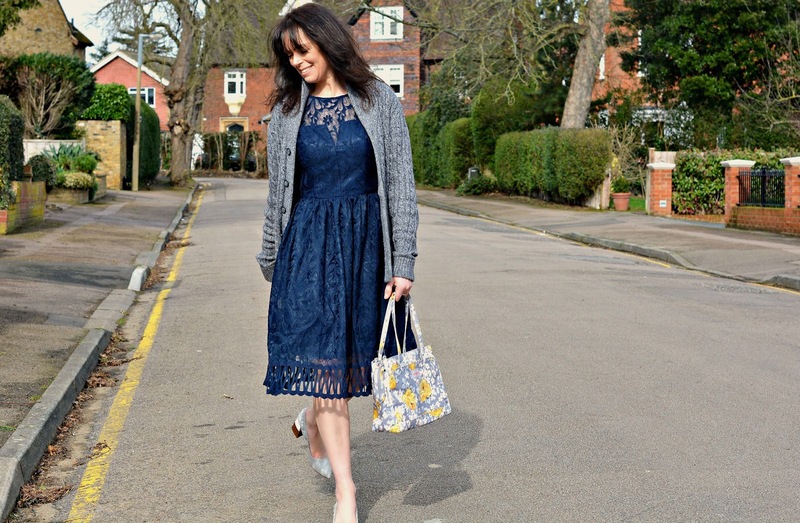 Next Post Look Fabulous Forever! Make-up For the 50+ Woman. 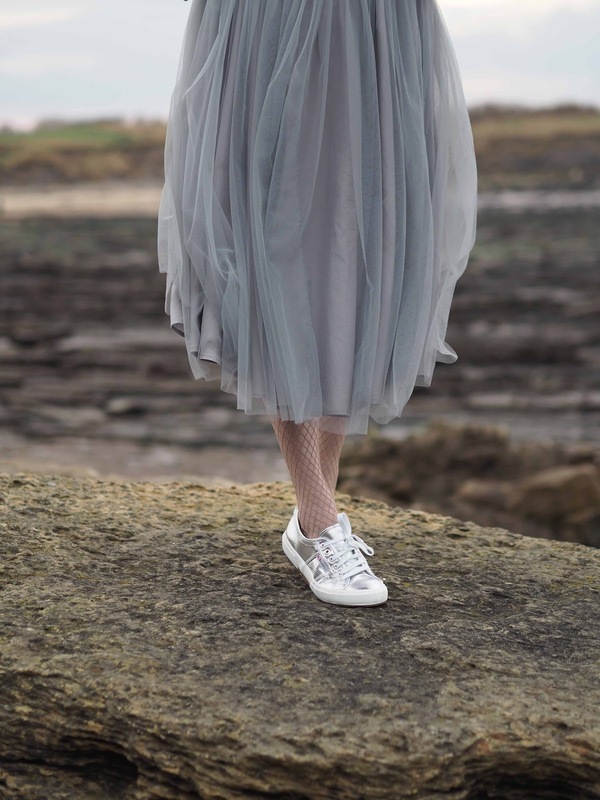 I have a real penchant for a tulle skirt and seeing yours in this dressed down mode is a clever (and convincing) idea! I love metallics of any kind and can see the sense of pairing these together. Fab, totally fab! What a beautiful look! The skirt is really wonderful and the whole set is delicate and very special.